If you remember from our trip to New Glarus Brewing Co., I had a pint of the Wisconsin Belgian Red, and was excited to take one of the bottles home to enjoy it later. 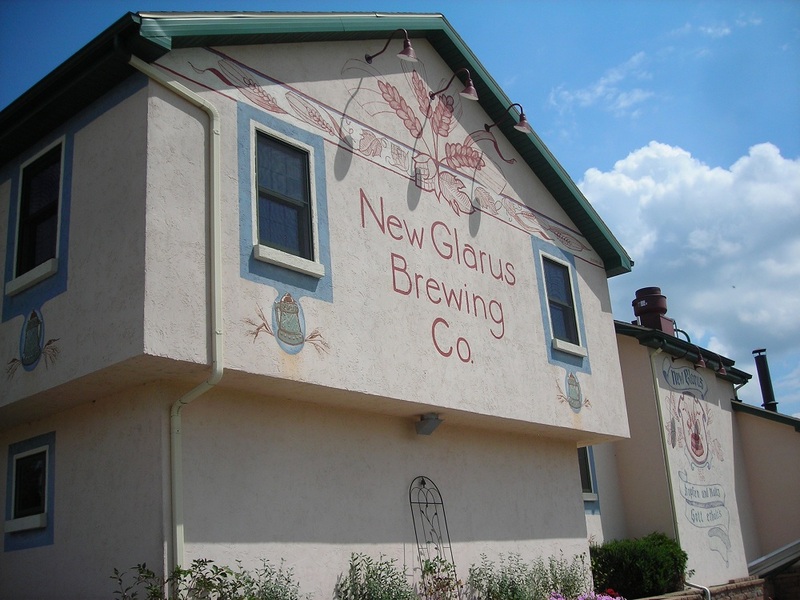 This beer has won several awards for New Glarus, including several Gold Medals at the Great American Beer Festival. The other day, a couple friends and I cracked open the bottles of Wisconsin Belgian Red we had brought home. First, the review: initially, it smells strongly like cherries. The taste is a full cherry flavor. It continues with the cherry flavor. 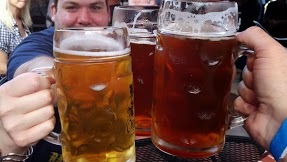 It is a great beer, and, dare I say it, it almost was too intense. It left a great cherry flavor in my mouth. 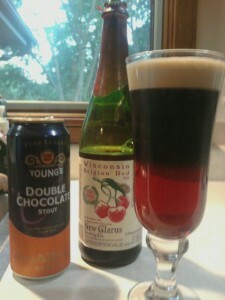 After we enjoyed a bottle of the Wisconsin Belgian Red, we decided to try something new: a layered chocolate-cherry beer. As you can see in the photo, we used my favorite beer, Young’s Double Chocolate Stout (the can that has the Nitrogen releasing widget inside). It was a hit! The smooth chocolate flavor played very well with the strong cherry flavor, and the entire layered drink was great! 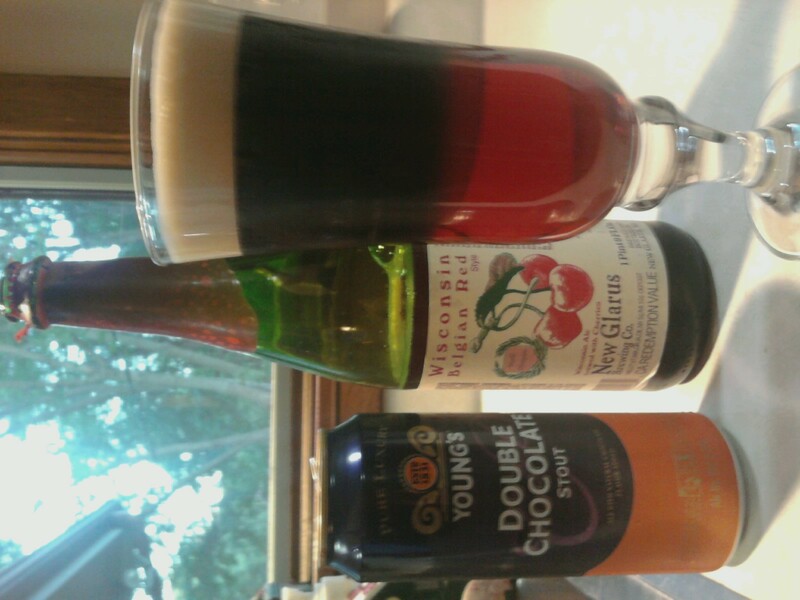 I had previously tried a different chocolate-cherry layered beer with Samuel Adams Cherry Wheat with the Double Chocolate Stout, but the use of the Belgian Red was a great choice. 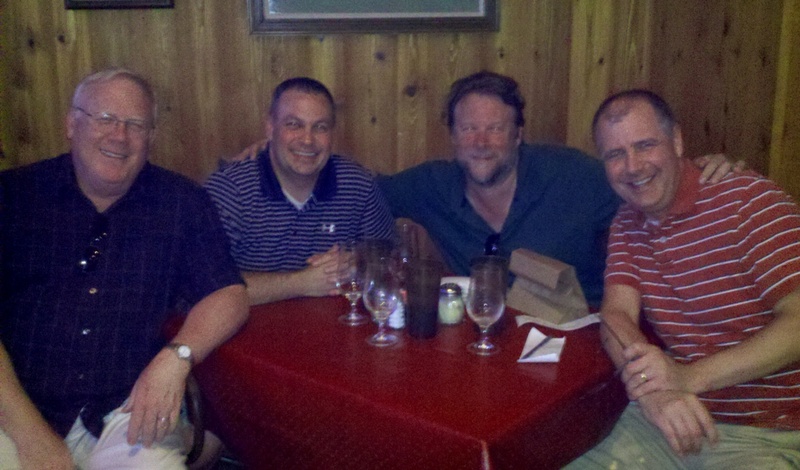 Have you had the Wisconsin Belgian Red? What was your take on this flavorful beer? 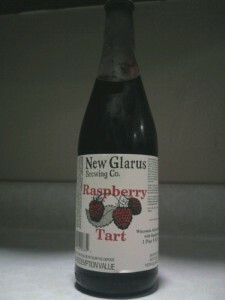 From our trip to New Glarus Brewing Co., I brought back a couple of the special beers, including the Raspberry Tart. 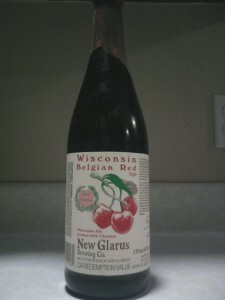 I had the Wisconsin Belgian Red at the brewery, and if this was anything like that, I would be in for a treat. 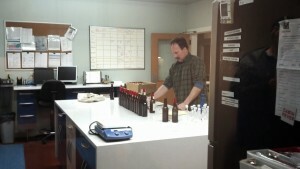 Initially, the raspberry smell is very intense. With the first taste, it overwhelms you with raspberry flavor. 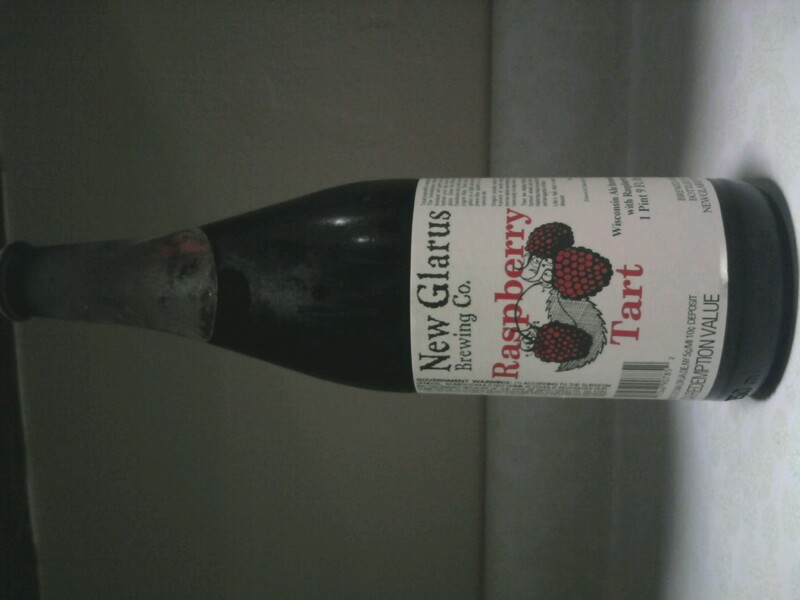 It tastes a bit sour then finishes with a strong, sweet raspberry flavor. It was like a blend between a beer and raspberry wine. Have you had the Raspberry Tart? What was your experience?